The Lotus plant grows in water, and the white and pink lotuses are the national flowers of India and Vietnam, respectively. Wonder if that is because its seeds can germinate even after a thousand years! These pictures can also be used as backgrounds. 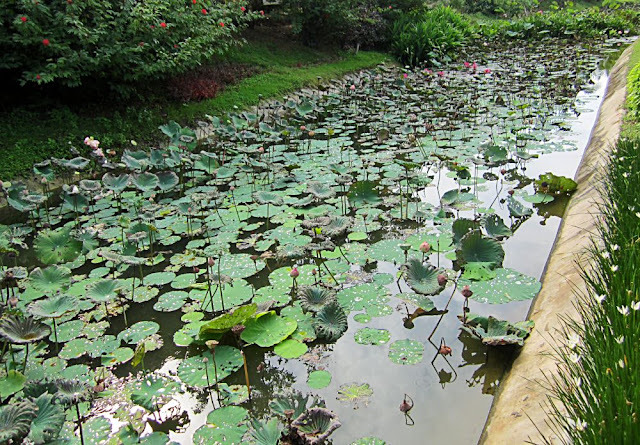 This photograph is of a water canal with growing lotus plants floating on the surface of the water. 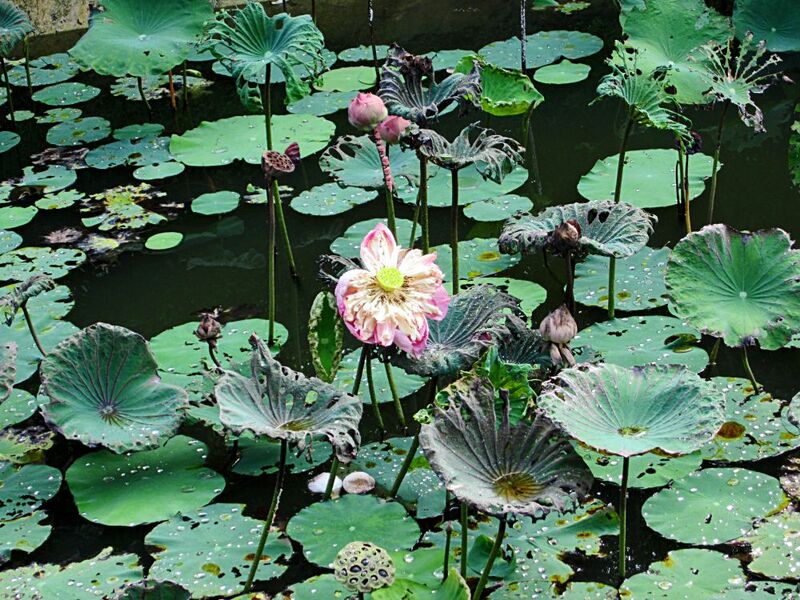 This is a closer look at the plant and one of the pink lotus flowers. However the flower is not a fresh one and is a little withered, its pink petals wilting. The dried seed head is visible though, which are much like the a lemon with pins! On some of the stems you can see the dried seed head only as the petals have withered and fallen off. Related Images: Chapha the tropical flower, Plumeria in English or Bougainvillea Bonsai or check out the label "Flowers"